Don't like what you see? Have an idea of your own for a fountain? 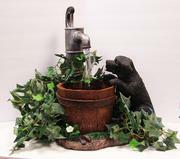 We can help you put together a fountain just as you are imaging it to be. 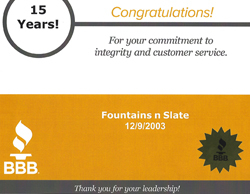 Contact us at: info@Fountainsnslate.com with your idea or phone us at: 1-800-643-5804 and we will work with you in designing a fountain ...just for you! Undecided? Purchase a Gift Certificate! This fountain has a solar light that illuminates the water. Sets up in less than 5 minutes!